To Guidebook or Not to Guidebook: That is the Question! They’re such handy little reference tomes, and yet, a part of me doesn’t like my travel experience dictated by a guidebook. So, the question remains: is it worth your while to buy the guidebook. Look, firstly, I love books, so any excuse to buy one – like an impending holiday, for example – is a happy day for me. But then, I’ve stood in downtown Ho Chi Minh City with an acquaintance who refused to go into a restaurant unless it was listed in her Lonely Planet. Lord help me. I’ll be honest. I love guidebooks. I buy them as soon as I start entertaining the notion of going somewhere. Which is why I have a thirteen year old book about hiking in Scandinavia. For the record, I have never been hiking in Scandinavia, but the thought that I might was rather intoxicating. 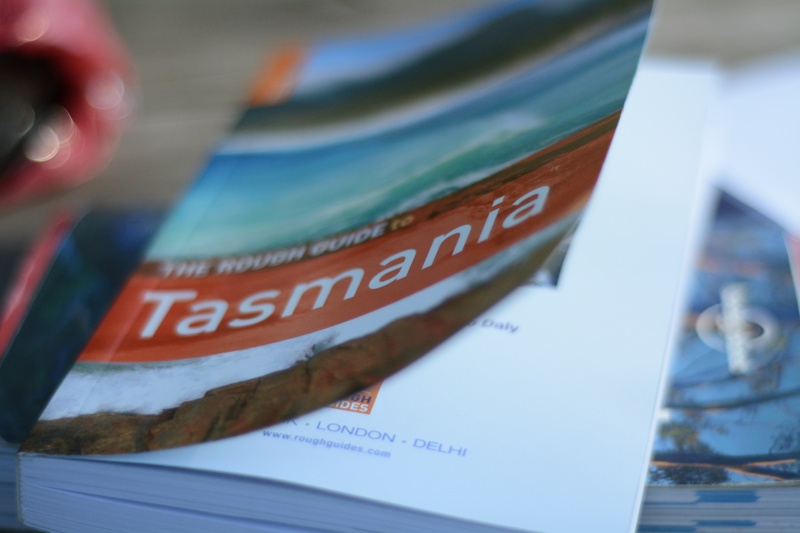 To me, guidebooks are all about potential. I love to read them cover to cover before I go. I use them as the basis for further research and for figuring out my itinerary. I like to look at their accommodation recommendations, then search for other places in the same area. But there are pitfalls. As soon as something is listed in Lonely Planet, or Rough Guide, or whatever, you can be guaranteed that it will be immediately overrun with other travellers. The authentic local experience that you might have had there before has now been tainted by its own popularity. Which sounds terribly pompous of me, I know, but there’s something quite magical about stumbling upon a place all by yourself and falling in love with the garden courtyard and the fresh food and the little old man in a beret driving his tractor past the front door. You know what I mean. These days, we use the guidebook to prepare for a trip, and by prepare, I mean, to get unbelievably excited about going somewhere. And then, when we’re there, we like to flick through it in bed in our hotel, making plans for the following day. I like to take some suggestions from the guidebook, then go exploring. And at the end of the day, we scrawl all over our guidebook. What we ate here, who we saw there. We jam in tickets and pamphlets and business cards from cafes, so by the end of the trip, it is bulging with memories and held together with an elastic band. It becomes our memory keeper for that particular trip. Every now and then, we peel the elastic band off and reminisce about that seasick family we met on the boat trip to Wineglass Bay, or the pub quiz we unwittingly participated in on a rainy evening in Dundee or the Co Thu elder we met in rural Vietnam who had an enormous python in a cage. Let me know what you think. Are you the adventurous sort who likes to explore a new place all on your own, even if it means you get hideously lost and may miss some of the main attractions? Or do you like the fact that someone else has done the groundwork for you? My scandinavia book is 15 years old! still havent been! Lol. I just love looking at them beforehand, plan what i wnt to see and thats it. I never use LP for lodging or eating. If i only have 3 days in a place then its handy to know somewhat where you are going! Great post, enjoyed it. Do you think Elizabeths secondhand will take 14 year old Scandinavian lonely planets with highlighter markings all over it, yet never used in Scandinavia? Lol. Agree – guidebooks for planning (it’s hard to beat Lonely Planet’s suggested itineraries and maps) and then DIY after that. There’s something cringeworthy about walking through a city with your nose in a guidebook. Ok, maybe I’m a little pompous too.